Siegfried Hecker, one of the nation’s top nuclear weapons experts, served as director of the Los Alamos National Laboratory from 1986 to 1997. He organized U.S.-Russian lab-to-lab cooperation on nuclear weapons safety and security issues at the end of the Cold War era, which is the subject of the recent book he edited, Doomed to Cooperate (2016), about that remarkable period of scientific collaboration. He is an authority on North Korea’s nuclear weapons program, having visited that country seven times between 2004 and 2010. Hecker currently is a research professor in the Department of Management Science and Engineering at Stanford University and a senior fellow at the Freeman Spogli Institute for International Studies. 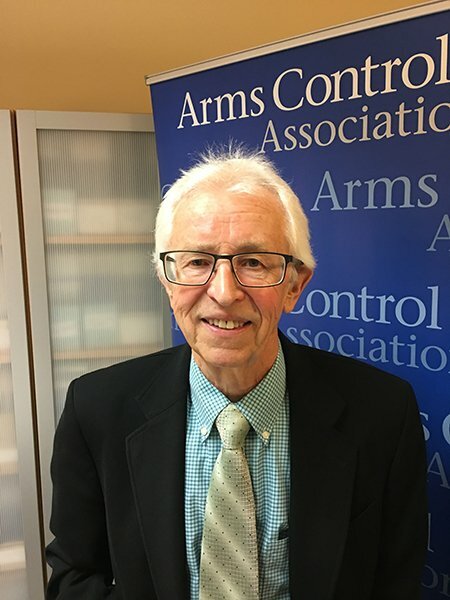 He was interviewed by Arms Control Today Editor-in-Chief Terry Atlas at the Arms Control Association office. This transcript has been edited for length and clarity. ACT: What led you to produce Doomed to Cooperate, a history of the cooperation between U.S. and Russian nuclear weapons labs? Hecker: The idea came from the Russian side. In 2002, on the 10th anniversary of our cooperation, which dates back to 1992 when we had a weapons-lab-directors exchange between the new Russian Federation and the United States, Vladimir Belugin, the former Russian laboratory director at the Institute of Experimental Physics [the Russian Los Alamos] suggested that we capture the history of this cooperation because, in the ‘90s, it was just remarkable. We began to work on it, and then unfortunately, he passed away. So as we were coming closer to the 20th anniversary, I had a discussion with the then-director of the institute. I reminded him that I had intended to write an article with his predecessor. He said, “Oh, there’s much too much for an article. We should write a book.” This was 2010. So that was the origin. ACT: The lab-to-lab cooperation is quite an unheralded success story, right? Hecker: I think so. As the Soviet Union was falling apart, the United States was concerned about four loose-nuclear dangers: loose nukes, the weapons; loose fissile materials, plutonium and highly enriched uranium; loose people, the scientific experts; and loose exports, concerns about illicit nuclear sales. My greatest concern was the security of nuclear weapons and nuclear materials. We quickly began working on these problems with the Russian laboratories. President George H.W. Bush’s primary concern was what he called the “brain drain” problem, namely the fate of the nuclear experts. We worked on all these issues. 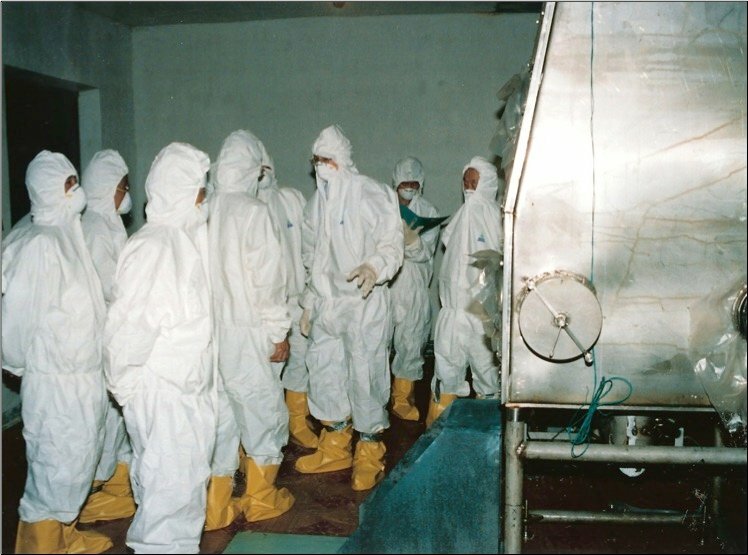 As we now look back 25 years later, there were no loose nukes, very little nuclear material leakage, essentially no brain drain, and on exports, after a few initial problems in the ‘90s, Russia is a pretty responsible exporter of nuclear technologies today. So it’s remarkable. I think the laboratories, the nuclear scientists, contributed enormously to avoiding a nuclear catastrophe. ACT: How is it that Cold War adversaries, particularly the folks in the nuclear complex who were steeped in secrecy and national security, managed to cooperate on these very sensitive issues. Was there a top-down mandate, or was it a bottom-up effort? Hecker: Absolutely not top down. We were not being told to go do these things in Russia. It was essentially the initiative of the scientists. The primary reason we began to work together is that the nuclear weapons laboratories and institutes were grounded in superb fundamental science. Los Alamos scientists had connections with Soviet scientists during Soviet times, not on nuclear weapons but on fundamental science. What really triggered our ability to work together, however, was the Reagan-Gorbachev Reykjavík summit in October 1986, which led to what was called the “Joint Verification Experiment” [JVE], that is, participating in nuclear tests at each other’s test sites for the purpose of verifying a test ban treaty. At that point, it was actually the Russian nuclear weapons scientists that reached across and said, “Hey look, we want to work together. We have these scientific ideas. We’d like to pursue cooperation.” So, we pushed for cooperation from the bottom up after the governments allowed us to meet for the JVE. The Soviet scientists pushed us. I pushed Washington. Then eventually, because of President George H.W. Bush’s brain drain concern, we were finally allowed to visit each other’s laboratories. When I went to Russia in 1992 with John Nuckolls, then-director of the Lawrence Livermore National Laboratory, we toured through their laboratories. What they showed us was remarkable. We looked at these guys, and it was like looking in a mirror. ACT: Now we fast forward to today, and that kind of cooperation is an increasingly distant memory. What’s the consequence of the current strained relationships in terms of nuclear security issues? Hecker: I think today the primary problem is isolation. First of all, you can’t do science in isolation, and the Russian scientists know that. So they’re not happy being isolated. However, the [Russian] government and the security services at this point want to restrict access to the Russian nuclear facilities. We had good access for over 20 years, and they also had good access to our facilities. They were in Los Alamos. They were at Lawrence Livermore and at Sandia labs. We knew all along it had to be reciprocal—if we wanted them to accept some of the ways that we do security, we had to show them how we do it in our places. We did that, and now, for the most part, that cooperation is cut off. But quite frankly, part of the cooperation was cut off by the American government. After Crimea and eastern Ukraine, the American government’s approach was, “[I]t can’t be business as usual.” That filtered down to the scientific interactions. Now, interactions between the nuclear scientists on both sides are being held hostage to political differences. ACT: You’ve had 20-plus years in which you were able to work on those nuclear safety and security issues. So at this point, is a danger still there? Hecker: In terms of loose nukes, first of all, they’ve always had it under quite good control, but they were in a demanding environment. Now they are, let’s say, in as good as shape as we are. As for loose nuclear material, they made enormous improvements by joint cooperation with the United States. They’re in quite good shape as far as that goes. As for the brain drain, there is no real concern. It’s not any worse than for the United States. However, with nuclear safety, nuclear security, you’re never done. So now, the danger is if they go back and they isolate the Russian scientists again, we won’t be there to compare the best practices, compare the lessons learned from each other. That’s the danger. ACT: There’s now talk about a new arms race as the United States and Russia modernize their systems. Hecker: There’s no question, on the Russian side, that they have emphasized the role of nuclear weapons in their security. If you look back at President Vladimir Putin’s statements over the past number of years and as you look at their actions, they are building new nuclear weapons. They are designing new nuclear weapons. Exactly what good that’s going to do them from a deterrence standpoint, quite frankly, is beyond me. I don’t see it as doing much good. On the American side, I know there’s much criticism on the modernization of the American complex. I personally happen to believe our nuclear complex needs to be modernized. We don’t need new weapons, in my opinion, we just need to make sure that we’re actually able to do our job within the nuclear complex. Then we’ll have a deterrent. We don’t need to enter a new arms race. ACT: What do you make of the latest North Korean nuclear test? Hecker: By 2010 it became clear that they’re going all out to build a nuclear weapons program and a threatening nuclear arsenal, and that’s what they’re doing. After the latest test, one has to conclude that now they must have the capability to mount those weapons on missiles that can reach Japan and South Korea and then eventually the United States. That’s not what I worry about the most. I worry that when a country builds that sort of capability, it changes the strategic dynamics with its neighbors. ACT: What’s your best estimate of how many weapons they could have now, and what’s the growth trajectory? Hecker: It looks like they can produce about one bomb’s worth of plutonium a year and perhaps six per year of highly enriched uranium. They may have the capacity to make approximately six to eight bombs per year. By the end of this year, they have enough material, we believe, for 20 to 25 nuclear weapons. ACT: What is the implication for proliferation concerns, particularly providing either state or nonstate actors with technology or materials? Hecker: From 2004 to 2007, my greatest concern about North Korea was the possibility of export. At that time, we had reason for concern because the North Koreans were known to have exported uranium hexafluoride to Libya and they had built a plutonium-production reactor in Syria. So it was not beyond them to actually do that. Today, I’m less concerned because, quite frankly, their customer base has sort of dried up, that is, it has fewer potential customers. Now one is concerned about export to [the Islamic State] or [other] terrorists. I don’t believe that North Koreans would sell a nuclear weapon. I don’t think they would sell the plutonium. I am not as concerned today about the proliferation or the export of their technologies, unless they become totally desperate. I’m much more concerned about how it affects their relationships with South Korea and the United States and having an overconfidence in their overall capabilities because they have this nuclear overhang. Also, what if there is real turmoil in the country? When they had a handful of bombs and 30 kilograms of plutonium only, you could see as to how one might be able to take care of that. You’re now talking about 20 bombs and hundreds of kilograms of highly enriched uranium, and you don’t know where it is. That’s what I worry about. I don’t worry anywhere near as much about missiles reaching the U.S. mainland at this time. That’s what all the talk is about right now, and of course, our military has to pay attention to that. But what’s much more dangerous is what’s going to happen in the immediate vicinity. ACT: What about the administration’s strategy of strategic patience? Hecker: It’s been a total failure. This isn’t just an Obama failure. There was an enormous failure during the George W. Bush administration. That was, in essence, when we sort of let the cat out of the bag with the altercation in October 2002, accusing [North Korea] of having enriched uranium and then essentially walking away from the Agreed Framework negotiated during the Clinton administration. North Korea then went ahead and proceeded with the first nuclear test [in October 2006]. It didn’t work so well, but that changed everything. When President Barack Obama came in, I think the initial intent was to work with the North Koreans, but they conducted a missile test and then another nuclear test. After that, there was great reluctance by the administration to work with the North Koreans. The policy was dubbed strategic patience, but it was essentially not doing much in diplomacy. During that time then, North Korea went from a handful of bombs to having a nuclear arsenal. ACT: So your advice for the next president? Hecker: You have to go back to diplomacy. As difficult as that might be to stomach for the United States, you just have to go back to diplomacy. The United States has been trying to get North Korea to do one big “no”—that is, no nuclear weapons—but that’s just not going to happen right now. So the three “no’s” I have proposed are no more bombs, no better bombs, no exporting. Negotiate that with North Korea, and agree to work with them on their security concerns, energy, and the economy. At least for the time being, don’t let it get worse. Now they’ve got the nuclear arsenal, so it’s going to be much more difficult. You have to roll it back through diplomacy. ACT: For the first step, a freeze is the best that can be done. Hecker: Yes. I don’t use the term “freeze,” but “halt.” What’s most important to halt has changed over the years. It was really important to halt nuclear tests five years ago when they only had two under their belt. That was important because there’s no way they could miniaturize a nuclear warhead to put on a missile without additional tests. Now they have conducted these additional nuclear tests. So, halting additional missile launches becomes very important—the solid-fueled missiles, the submarine-launched missiles, and of course, the long-range ones—and no more nuclear tests is still important. You also need to at least halt the production of the fissile materials. Then you work your way diplomatically toward rolling back the nuclear weapons program and eventually eliminating it.